Charles Dickens first editions books and novels from author, copies in fine bindings, handsome sets of his collected works and original letters and manuscripts. Read our blog post about the bicentenary of Charles Dickens first editions and watch our video on the publishing formats of Charles Dickens first editions. In terms of enormous and unfailing popularity, Charles Dickens (1812–1870) is the towering figure in the 19th-century novel, not only in the English-speaking world, but reaching out to an international readership. During his own lifetime he was not only the most famous novelist but perhaps also the most famous person in the world. Pickwick Papers, Charles Dickens's..."> First edition bound in two volumes from parts, with the two Buss plates present (facing pages 69 and 74), all the plates are in early states with page numbers as called for, including the vignette title page with the signboard reading "Veller" (corrected to "Weller" in later issues). Pickwick Papers, Charles Dickens's first novel, transformed..."> First edition, early issue. The plates are in early states, with page locations and without titles or imprints, but the earliest Buss and Seymour plates have been replaced by those of Phiz. The sign on the engraved title states "Weller" rather than "Veller". Original holograph leaf from The Posthumous Papers of the Pickwick Club. Oliver Twist; or, the Parish Boy's Progress. By "Boz." Sketches by Boz. Illustrative of Every-Day Life and Every-Day People. A Christmas Carol. In Prose. A Child's History of England. (DICKENS, Charles.) MENKEN, Adah Isaacs. Dealings with the Firm of Dombey and Son. (DICKENS, Charles.) SMITH, F. Hopkinson. His most popular titles include Oliver Twist, David Copperfield, A Christmas Carol, A Tale of Two Cities, and Great Expectations, all of which have repeatedly found a secondary audience in the cinema and on television. Characters such as Mr Pickwick and Sam Weller, Oliver Twist asking for more, the Artful Dodger, Fagin, Sikes, the death of Little Nell, Scrooge and Tiny Tim, Mr Pecksniff, Mrs Gamp, Uriah Heep, and Mr Micawber are still universally recognised. Charles Dickens died 9 June 1870 in Gads Hill Place near Rochester Kent, aged 58 years. For the book collector, Dickens is probably best known for issuing his novels in monthly numbers, the book being completed in 20 parts. (He was not the only author to do this, but he was certainly the most successful.) The last monthly issue was typically a double number comprising the two concluding parts, and included the general engraved and printed titles that would allow the customer to have the whole bound up in book form. The parts issues in their distinctive illustrated coloured paper wrappers are accompanied by all manner of advertising sheets and slips, giving a rich flavour of the contemporary milieu. First editions in the original parts have long been keenly sought-after by Dickens collectors. Immediately the novel was completed, Dickens’s publishers issued the complete book in a cloth case-binding, or the individual parts could be bound up to taste, usually in a leather half-binding. Copies of his first editions in unrestored original cloth are highly valued in the current market, whereas those first editions in contemporary half calf offer an affordable way for collectors to own a Dickens first edition. Dickens also experimented in different forms, such as the unusual portmanteauMaster Humphrey’s Clock, which was originally issued in weekly parts, and ultimately developed into two distinct novels (The Old Curiosity Shopand Barnaby Rudge), and the small but lavishly produced Christmas gift book series inaugurated by A Christmas Carol. As befits a scintillating writer of comic prose, autograph letters by Charles Dickens usually contain at least a glimpse of his brilliant wit, and are also in high demand with collectors. 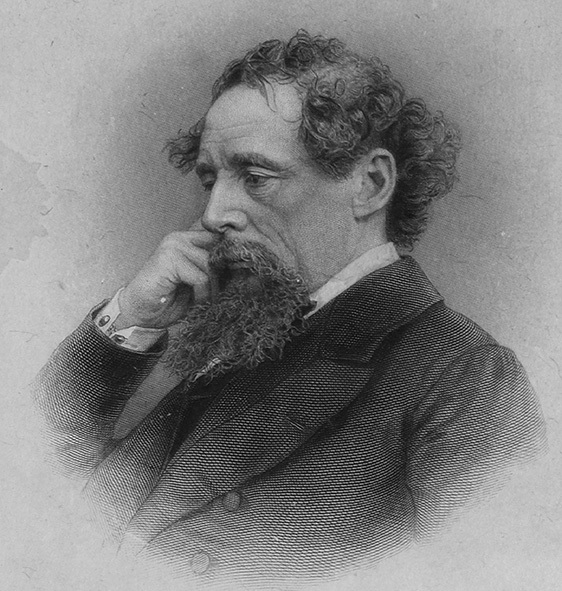 Towards the end of his own lifetime, Dickens had his novels issued in the collected Library Edition. After his death, collected editions of Dickens’s complete works dominated the market for library sets for many years. His firm of Chapman and Hall relied heavily on the Dickens copyright for the rest of the century and after, ensuring a lucrative income for directors of the firm, including Arthur Waugh, father of the novelist Evelyn Waugh. Notable later editions include the Nonesuch Dickens, in its various cloth bindings, each set of which includes one of the original steel- or wood-engraved plates from the original first editions. Blog: The Origin of Charles Dickens’ A Christmas Carol. A Christmas Carol, Illustrated by Arthur Rackham. Presenting an inscribed first edition of The Old Curiosity Shop. Presenting a first edition Great Expectations. What was Charles Dickens first book? Sketches by "Boz" Illustrative of Every-day Life and Every-day People also known as Sketches by Boz is Charles Dickens's first book, a collection of short pieces Charles Dickens originally published in various newspapers and other periodicals between 1833 and 1836. The first complete one volume edition appeared in 1839. What was Charles Dickens first novel? The Posthumous Papers of the Pickwick Club also known as The Pickwick Papers was Charles Dickens's first novel published in 1836, it began as a simple comedy. As it grew in popularity, however, he took the opportunity to make strong statements about the flaws he saw in society and the obligation of people to address those problems.